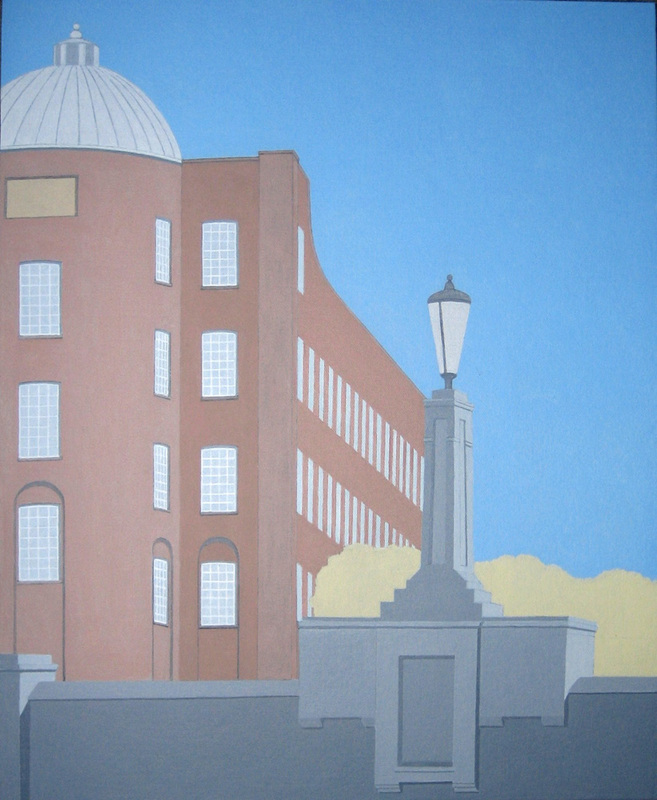 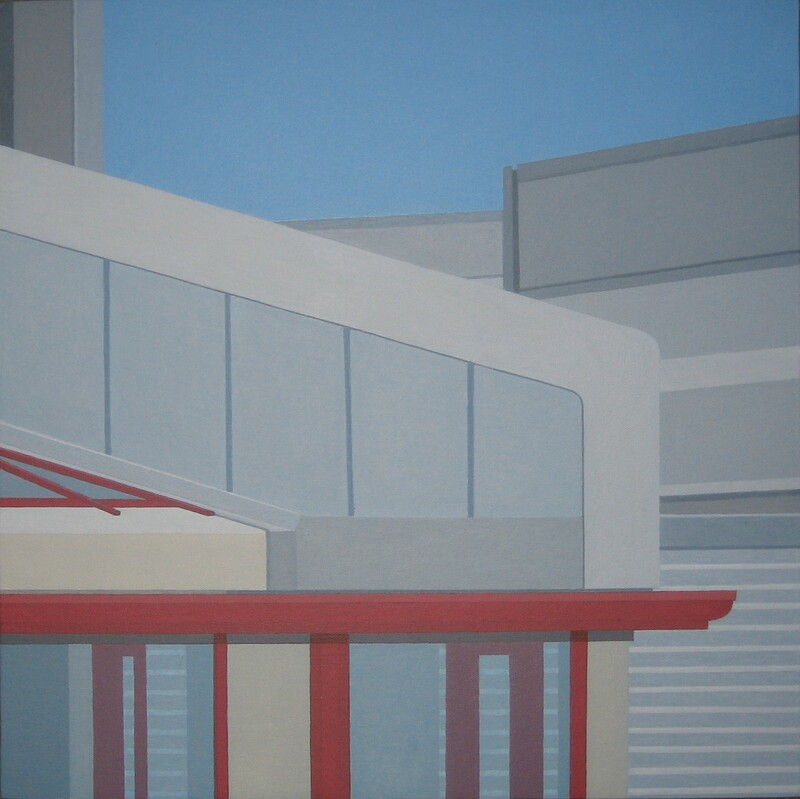 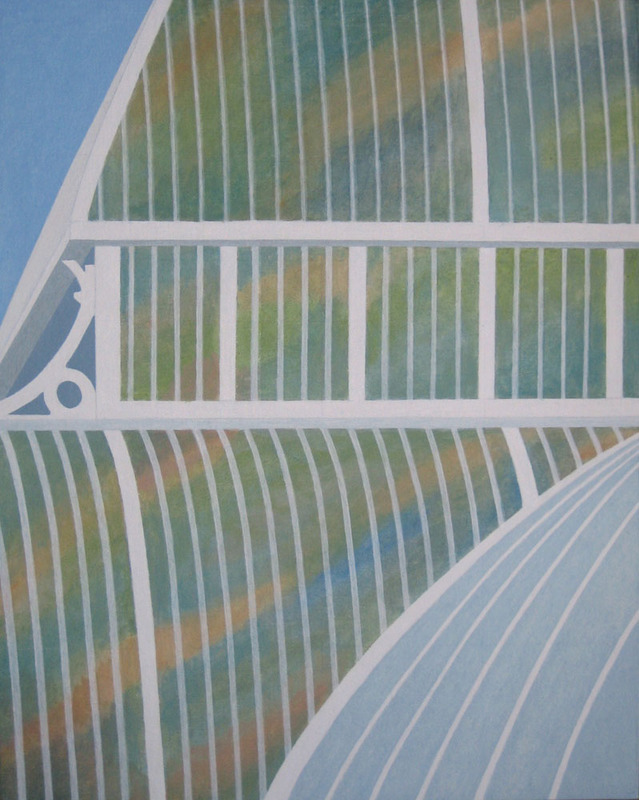 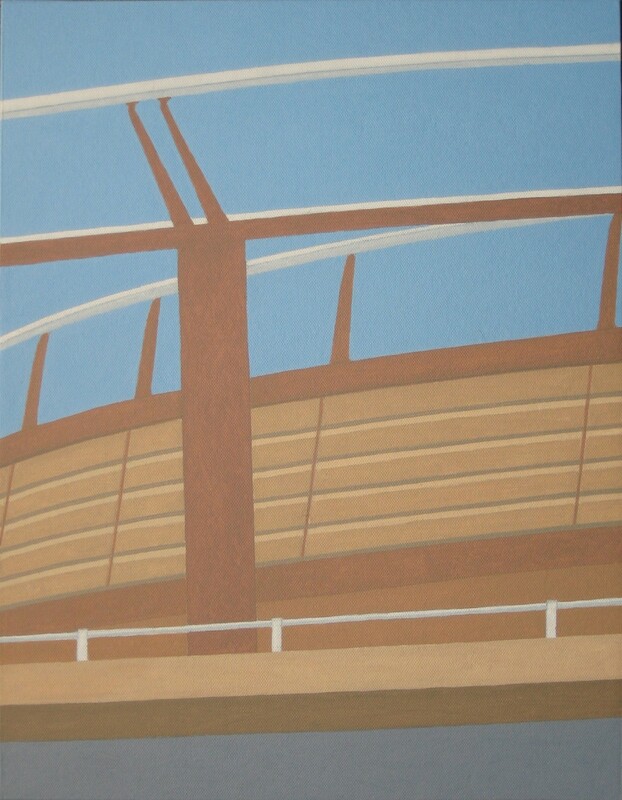 Jeremy Taylor – Architecture: Colour, Form & Structure These paintings explore the essence of architectural design. 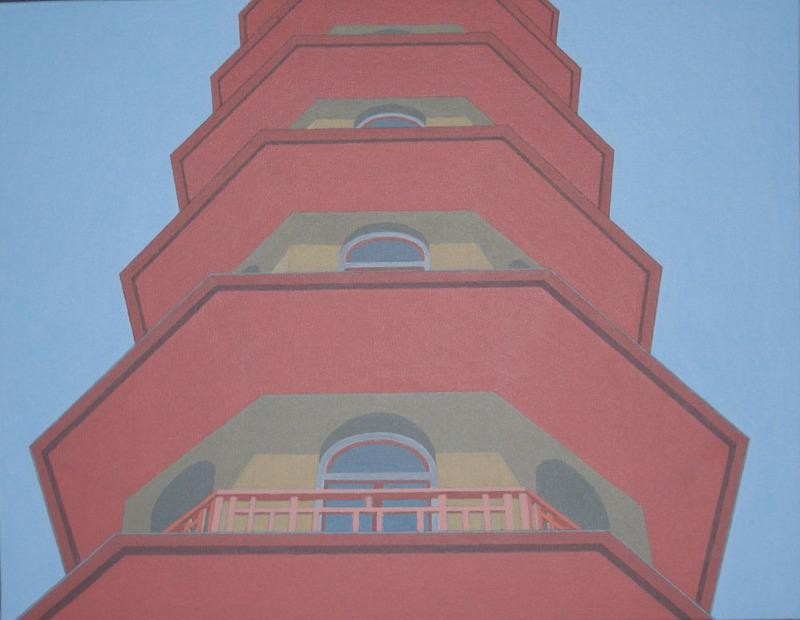 They often focus on parts of buildings and structures to draw attention to the detailed geometries and creativity realised by architects. 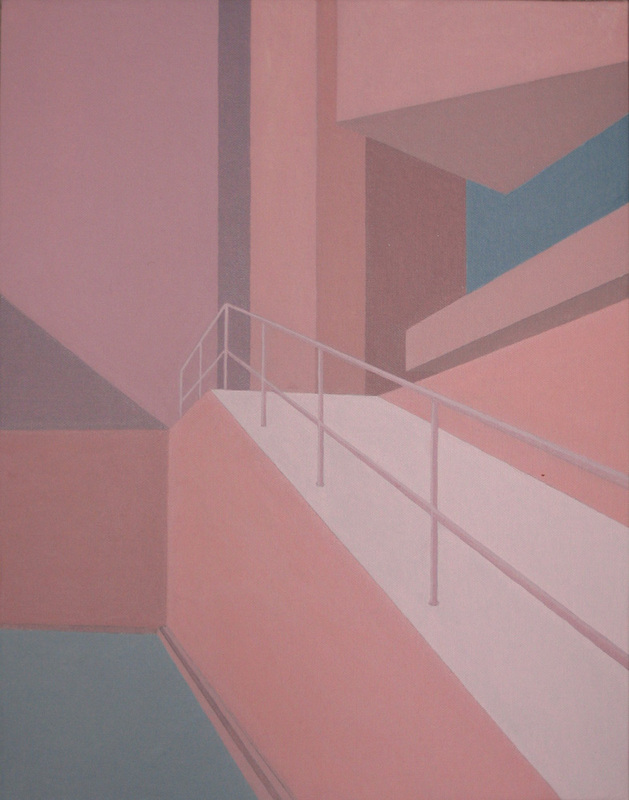 Aspects of colour are developed together with the visual qualities of the built form and the spaces portrayed. 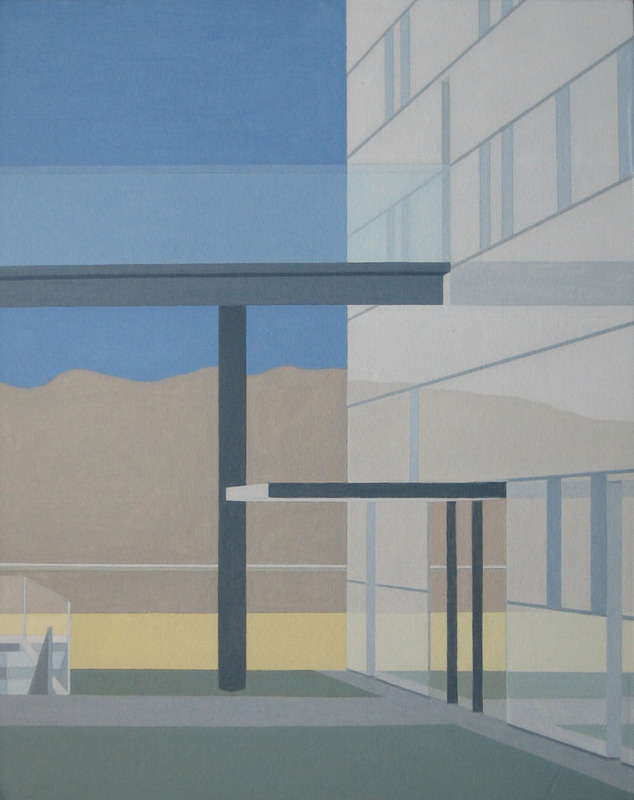 The preferred medium for the paintings is acrylic on canvas board, allowing for a precision that parallels that required during the architectural design process. 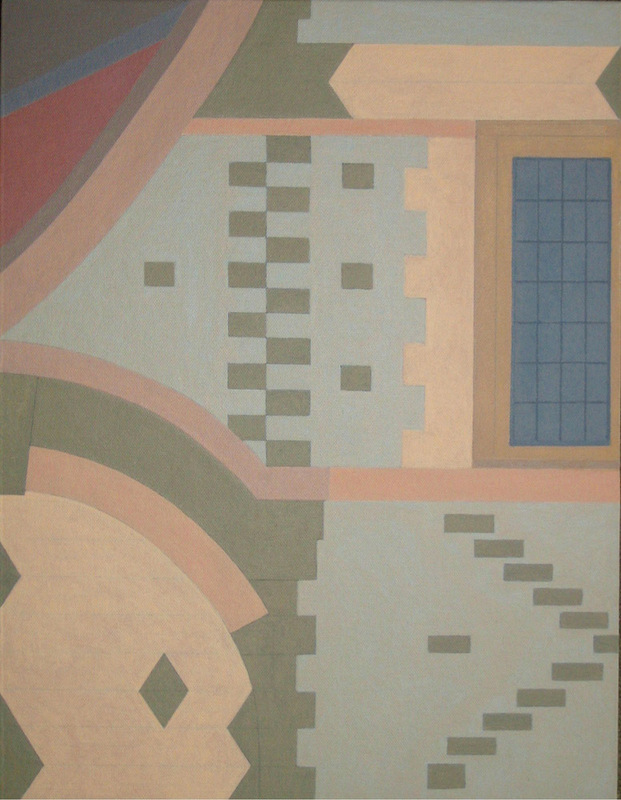 Having trained as an architect at the University of Cambridge, Jeremy Taylor studied modern architecture in the USA. 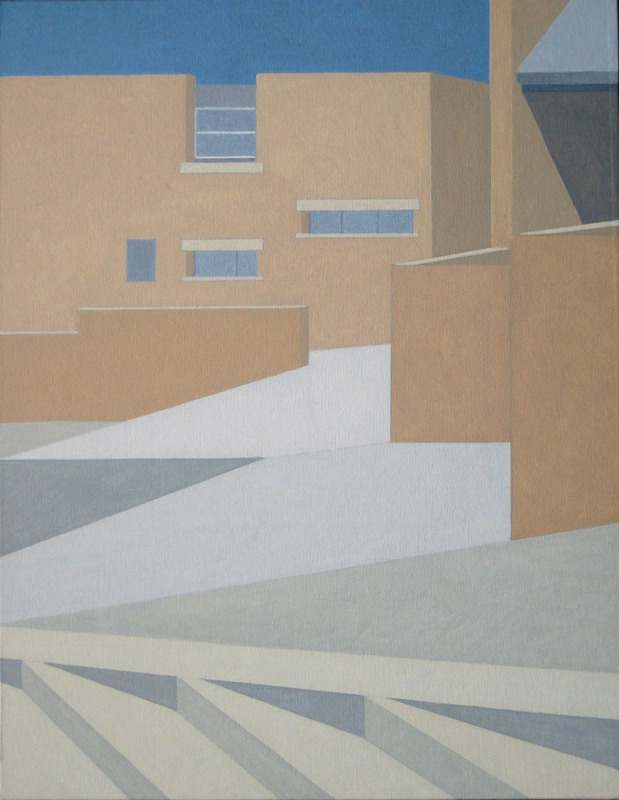 He then worked in architectural practices in both Cambridge and London, later moving to undertake research at York. 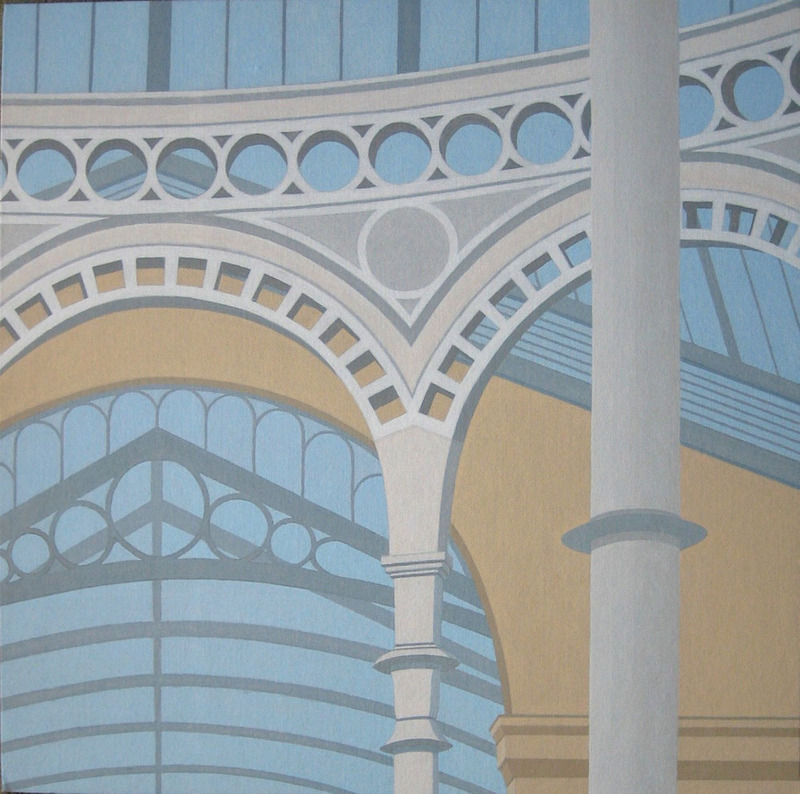 He has been living and working in Norwich since 1997.